The Committee of the Families of the Detained and Disappeared in Honduras (COFADEH) and the Honduras Accompaniment Project (PROAH) would like to express our concern at the death threats received by members of PROAH, an international organization that provides accompaniment for human rights defenders at risk in Honduras. On the 26th of April in the afternoon, a member of the PROAH team received a text message on her mobile phone from a telephone company website with the following message: “cam > YOU SHITS. UNTIL WE STICK A BULLET IN YOUR HEAD YOU’RE GOING TO KEEP QUIET”. On the 22nd of April at 4.14pm, another member of the PROAH team had received a message, also from a phone company website to her mobile phone, referring to members of an organisation that PROAH accompanies: “From: CAM 14/88> who do we begin with. pedro, elena or alan, …in the end, the result will be the same**”. Members of this organization also received the two threats. COFADEH and PROAH consider the death threats targeted at members of PROAH to be directly related to their work in defense of human rights, and have been issued in a context of intensified intimidation and attacks against human rights defenders in Honduras over the past few months. On the 24th of April COFADEH held a press conference to report on the marked increase in threats, harassment and even physical attacks directed towards their staff and family members. The threats from CAM directed towards international accompaniers are in addition to others sent to human rights defenders in Honduras over the past few weeks. These human rights defenders are at high risk because of their work and therefore urgently require international accompaniment. 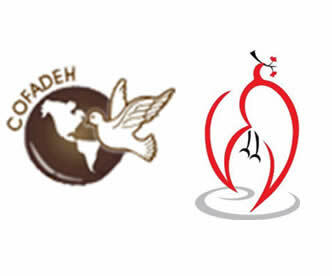 – Take the necessary measures to stop the harassment and threats directed at all members of PROAH in particular, and against the community of human rights defenders in general. – Immediately conduct a thorough and impartial investigation into these threats, and request that the results of the investigation are made public and that those responsible for these threats are brought to justice. – Take urgent and concrete measures to implement the Declaration on the Right and Responsibility of Individuals, Groups and Organs of Society to Promote and Protect Universally Recognized Human Rights and Fundamental Freedoms, adopted by the United Nations General Assembly on 9 December 1998. – Ensure the implementation of the provisions of this Declaration, in particular with regards to the protection of the right of everyone “…individually and in association with others, to promote and to strive for the protection and realization of human rights and fundamental freedoms at the national and international levels”. CAM is the acronym for the Álvarez Martínez commando group, a paramilitary group that has threatened, harrassed and intimidated human rights defenders since the 2009 coup d’état. The name refers to General Gustavo Álvarez Martínez, who was head of the Honduran armed forces and is considered to be responsible for serious human rights violations under the National Security Doctrine of the 1980s. The names have been changed in order to protect the identity of the people concerned. This entry was posted in News and Analysis and tagged central america, COFADEH, Honduras, human rights, human rights violation, Latin America, PROAH, urgent action. Bookmark the permalink.